Come out to the International Women's Day Rally to stand up for Women's Rights and celebrate International Women's Day! Rally will feature an exciting speaker line up hosted by Women's March Sacramento and California Legislative Women's Caucus. Wear Red and Black to honor International Women's Day and the Me Too and Times Up movements. Bring your smartest-sassiest signs. 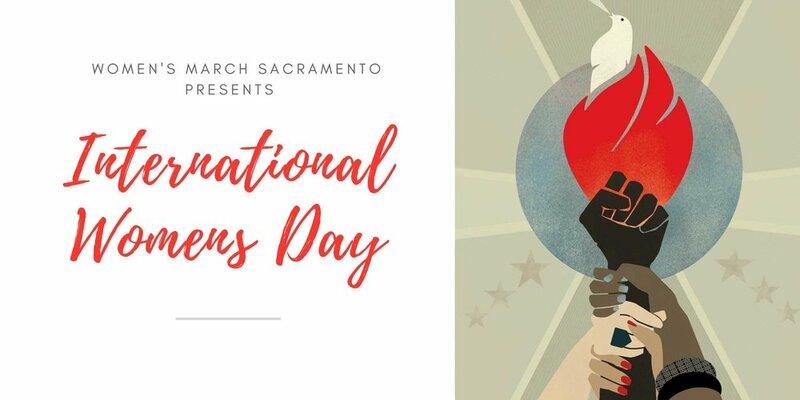 Meet The Candidates Mixer- Celebrate International Women's Day with Women's March Sacramento! Show up for great wine and local fare. Meet women candidates running for office in the Greater Sacramento Area. Bring your questions and winning spirit because 2018 is the Year of the Woman! When we run, we win, and when we win we make progress! List of candidates coming soon.